Not so long ago, playing TV shows and movies were easy due to the MovieBox app. But after some time, everything was gone and the movie enthusiasts were left with no other choice. Don’t worry as I’m here to tell you the good news. 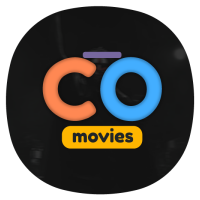 The developers replaced the app with CotoMovies. And by using this new app, you can easily play or watch offline free shows and movies. The only issue is that it is an app for Android phones. So what about iOS? Well, let me tell you the secret of finding CotoMovies in your iPhone or iPad. Let me not keep you waiting for any longer. To download the app, you first need to install Emus4u ( About ). It is a third party app that allows you to get various apps with no hassle. First, you need to Download Emus4u. After that, tap on the install onto your device. You need to give this app consent in order to access it. So, hit allow on the pop-up message. When you have the app on your screen, launch it. Once Emus4u is installed on your device, go to the search box. Using the search box, type CotoMovies and you will be directed to a different page with several app options. Choose the right app and then hit download on your iPhone. The app will finish the downloading process within some few seconds. Go to your phone’s menu and see if there is a notification for installing. As it is not an official app, you have to allow unknown sources. You will notice that when you tap on the downloaded app, you’ll receive ‘Untrusted Developer Error’. So to avoid this, cancel the message and go to your settings. Click on General and scroll down to Profiles and Device Management. Find CotoMovies in the list and then click Trust. Go back to your home screen and install the app. Now you can comfortably enjoy your favorite movies and TV shows on your iPad, iPhone or any other iOS device.